Looking for top quality stylish lingerie made in Sri Lanka? Sri Lanka is supplying lingerie for reputed lingerie retailers that include limited brands such as , La Senza, Marks & Spencer, H&M, Etam, Lane Bryant, George and many more. Launched exclusively in India in the Fall of 2007, amanté is Sri Lanka's very first international lingerie brand, offering elegance, comfort and value to the modern Asian woman. 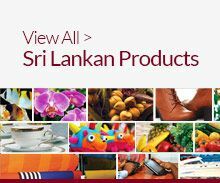 Sri Lankan lingerie manufacturers & suppliers' proven capabilities in working with multiple fabrications and producing multiple styles have not only generated an impressive product portfolio but have also resulted in extensive experience in handling and producing knit and micro-satin garments.